School in the Dominican Republic is only a half-day long, and dropping out is all-too-common. There are efforts to move to full-day school, and we are actively looking for ways to support the academic and enrichment goals of Dominican schools. Our 4-day women’s retreat allows you to volunteer abroad and assist a Dominican community with the support they need. The results of half-day schooling are troubling. Boys drop out at too high of a rate. Girls as young as 12 can become pregnant and face demands that make continuing with school difficult. Empowering children through service learning not only helps them, but also their communities, and our women’s retreat assists us in better understanding our neighbors abroad. When we volunteer abroad, we are working with local public schools and non-profit organizations to extend the schooling and enrichment options for these children. While on this women’s retreat, you will contribute to economic and educational sustainability, leaving a healthy footprint behind you. 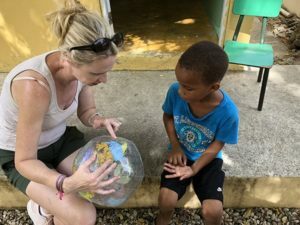 For us, the phrase “volunteer abroad” means working side-by-side with locals on locally identified needs and volunteering at non-profits and local schools. 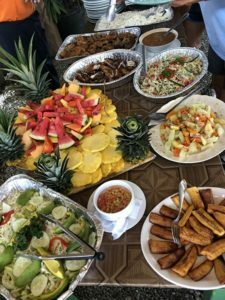 You will stay in a family-owned hotel and dine at Dominican family-owned restaurants. The money that you spend there will stay in the community we are serving. We will be working side-by-side with Dominican locals, and we will focus on locally identified needs related to education. There may also be room to help with painting or other needs. We will work with Dominicans leading us in providing English instruction and/or sports enrichment while there. As this women’s retreat is a Thursday through Sunday trip, Friday will serve as full-day schooling for some of these kids. Sometimes Saturday provides an opportunity for their families to come and learn English and engage in the activities as well. On our women’s retreat, you and your girlfriends will have a bond you’ll never forget. Most trips include staying at a beachfront hotel in a town with a vibrant nightlife. 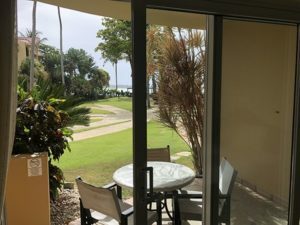 You can rest in your room, by the hotel pool, or enjoy the beachfront bars. Arrive in the Dominican Republic. Visit the school or community center for a tour and orientation. Relax by the pool or beach. Reflections as a group about our day and what to expect. Breakfast at the hotel featuring local Dominican food. Arrival at the school or community center. Teach English, run sports programs, or assist with painting or other beautification efforts. Lunch at the community center or a local Dominican restaurant. Work with the kids in school on English language development, sports, or other enrichment activities. Return to hotel with time to relax at the pool or beach. Dinner at the hotel (for the last night, dinner is sometimes out). Group reflections to process and make meaning of our trip. Full-time, local Field Director stays with our group. Full-time, local bus driver who stays with our group. Book Your Weekend Trip Today! Contact us to reserve your spot or plan a trip with your own group or organization. Spots are going quickly. Reserve your spot by paying in full or just putting down $195 by January 20, 2019 (or earlier if filled). Space is limited. After your deposit, $850 is due on February 4 and another $850 is due on March 1. You can also finance your trip. Click here for options for no payment/no interest options for 6 months. ** Final cost may change depending on port of departure. The price of $1,895 covers departure from Philadelphia or surrounding airports. Guaranteed price for other locations will be provided by ILI Travel staff.